When the lens of the eye naturally becomes cloudy with time, Drs. Chopra , Benedict, and Sagar can remove the cataract using advanced laser technology. In fact, we are the first doctor in Marietta to use this revolutionary process to remove cataracts and are the first doctors in Marietta certified to use laser technology to remove cataracts. During this outpatient laser procedure, Drs. 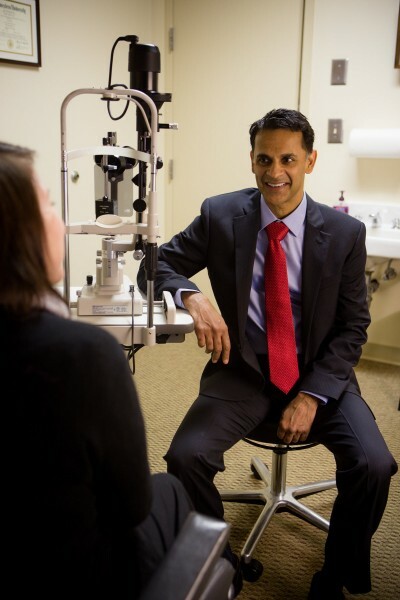 Chopra, Benedict, or Sagar uses the LenSx® laser system to make a tiny incision in the lens capsule so that the damaged lens can be removed and the new intraocular lens inserted. The computer-assisted LenSx® laser allows for an unprecedented level of precision, creating openings that are up to ten times more precise than those made during a manual procedure. Real-time image guidance makes it possible to customize the procedure to the highly specific contours of each individual eye, greatly reducing measurement inaccuracies and helping to ensure that each cataract treatment achieves optimal results. The wound is then closed usually with a sutureless technique. The LenSx® laser is unquestionably the most technologically advanced option for cataract patients and makes cataract surgery more precise, predictable, and reproducible. Typically, cataract surgery is a short procedure, lasting less than an hour, which can be performed on one or both eyes as necessary. 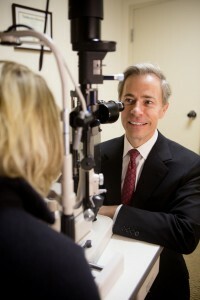 Individual procedures for each eye can be spaced as soon as one week apart, if requested. After surgery, patients will receive medicated eye-drops to promote healing and will usually see improvement in their vision as soon as the day after surgery, with optimal results achieved in about a month. To learn more about cataract surgery and the other eye surgeries offered at Georgia Eye Specialists, please contact our office.